Are You Thinking about Becoming an iPhone App Developer? With the popularity of iPhone apps over the past several years many people have found rewarding careers as iPhone app developers. This is a brief introduction on the basics you will need to understand to develop iPhone apps - an overview of what you should consider if you want to get started as an iPhone app developer. With the growing number of iPhones on the market and the number of available apps also growing it is clear that the demand for app developers will continue to increase. In addition to smartphones, other devices such as tablets and wearables that run on the iOS Operating System are also popular, increasing the need for iPhone apps and developers. The App Store is growing at an enormous rate. As of the last reported period, Apple announced that 1.4 million mobile apps were available in the Apple Store. So if you think you want to develop iPhone apps where should you start? Those who are just getting started on developing iPhone apps often wonder whether they can develop iPhone apps on a Windows PC. The truth is that developing iPhone apps on Windows is possible. However, if you rely on a Windows-based computer, iPhone app development can be challenging. There is also one big catch – you will still need to use a Mac for App Store submission. Apple has great tools for a new iPhone app developer to build an iPhone application and it is recommended to use a Mac for your development project. Basically any Mac will do, but some are better suited to application development than others. Once you’ve got a Mac that will run the latest version of the iOS development software you’re pretty much good to start. Now that you’ve succeeded in getting a Mac. Now what? Download Xcode. 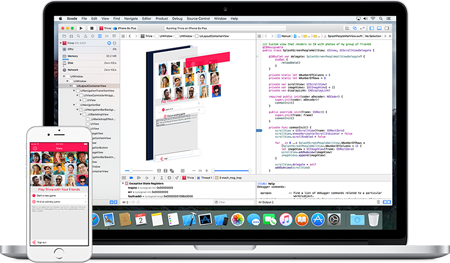 Xcode is a program that contains all the tools required for creating or building applications for Mac OS and iPhone OS. It also includes iOS Simulator, Interface builder, Compiler, Frameworks and a full documentation reference library. The latest major version of Xcode is available via the Mac App Store free of charge. After you’ve installed Xcode, you will be able to write and compile your iPhone applications. It is worth noting that you will need to be a member of iOS Development Program to develop and install an app on a device. Without being a member you can only run your app in the simulator. This takes us to our next tip for developing an iOS app. After you have actually created and run your app on the Xcode Simulator, you will have to enroll in the iOS Developer Program. After you are verified, you pay a $99 yearly fee. Without enrollment, you can only run your newly created app on the simulator. And unfortunately, that in itself is not a true test of the app’s capability or performance. You need to install it on actual hardware to properly test your app. Once you’ve been enrolled and verified, it means you are good to go. All the admin account information is available to you and you’re ready to start submitting your apps. When developing apps for the iPhone there is a programming language that you need to learn. Even though it may take you a while to learn this technical language, it is the language to know. The language that we are discussing here is called Objective-C. With Objective-C you can really do some amazing and powerful programming. Once you have learned Objective-C there are endless possibilities with what you can do with your programming skills. 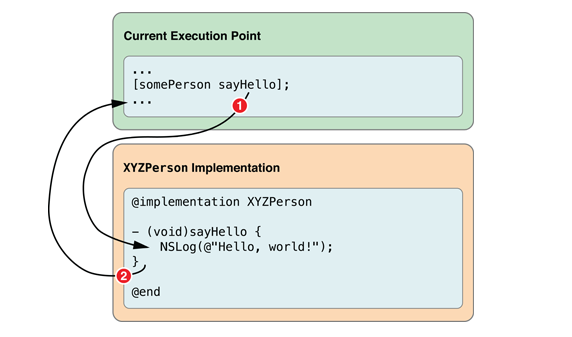 Once you know Objective-C it will be easy to learn Cocoa Touch. Cocoa Touch will be extremely crucial if you want to create fun and innovative iPhone apps. Basically, Cocoa Touch is a framework for developing touch-screen applications. It provides iPhone app developers with the power to create intuitive apps using Mac OS X and transfer them seamlessly into the iPhone Operating System. Some of the main features and technologies of Cocoa Touch include: multitasking, custom maps, Apple push notifications, TextKit, audio players, etc. It is important that you learn to create an intuitive and user-centric UI for your application. However, always keep in mind that there are several restrictions on iPhone app development. These restrictions can affect your development plan. When your app gets to the Apple Store, Apple will decide whether it will be approved or not. Apple may reject your app or ask you to make changes prior release. Once the app is ready, you need to create visibility in the market place. But there are millions of iPhone apps on the Apple Store. It is very hard to get into the top lists on the App Store. Therefore, it is better to just think of the App Store as the distribution channel, and focus your marketing on places where you can make some impact. Facebook and Twitter are great places to start, but do not ignore the need to have a professional website. Along with maximizing social media sites and websites, developers have taken to YouTube to help market their apps, and in many cases it has worked out very well. YouTube is a great avenue that offers opportunity for your apps to go viral. To be a successful iPhone app developer you will have to learn on your own to improve your knowledge. The best thing is that there are a number of tutorials and ways to learn available on the Internet. You can use them and learn how to develop applications for iPhone. You will need to invest some time to study and learn how to develop. Hopefully this brief overview will help you understand what it takes to get started as an iPhone app developer. Many individuals have enjoyed successful careers as iPhone app developers and you can too. Author Bio: Diwiyne Johnson works with Vanity Point – an iPhone App Development Company in Phoenix. She has a deep rooted obsession for content writing and loves to read technology books. In her free time, she writes articles and shares new updates through various social media channels. You can follow her on twitter @DiwiyneJohnson.